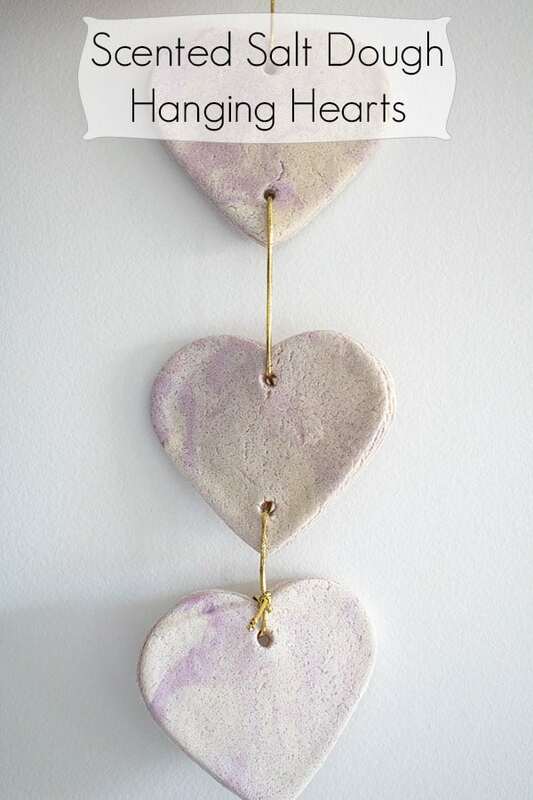 Enamoured with all things hearts at the moment my daughter and I decided to create a Lavender Scented Salt Dough Heart Hanging for her room. I love using the lavender in the salt dough as it slowly releases the scent over time and is especially calming. 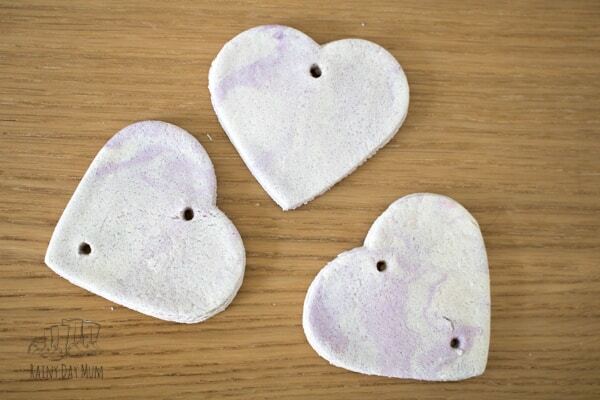 These hearts were made with our classic salt dough recipe and oven dried but you could easily make them with the microwave salt dough recipe we used for creating some heart buttons for threading. So here we go and quick craft (that takes a while to dry) to create some scented heart hanging decorations for the home. 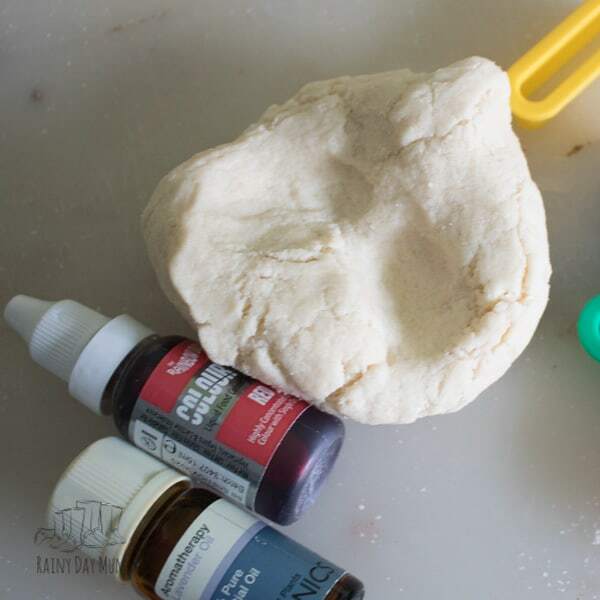 Mix up a batch of Classic Salt Dough adding in 10 drops of lavender essential oil. If you wish for it to be coloured like the purple streaks you can see in our image then add a little purple food colouring and do not knead it in fully. Once mixed to a dough roll out to around 1/2cm thick. Using the cookie cutter cut out your hearts. We made 2 of these hangings with 3 hearts each and had some dough left over. Then with a skewer place a hole at the top and bottom of all but one of your hearts which will only need 1 hole. Lay on a baking tray and place in an oven at 75C. Dry for around 1hr – 2hrs check on them after 1 hour to see how dry they are. Remove and allow to fully cool before threading to hang. 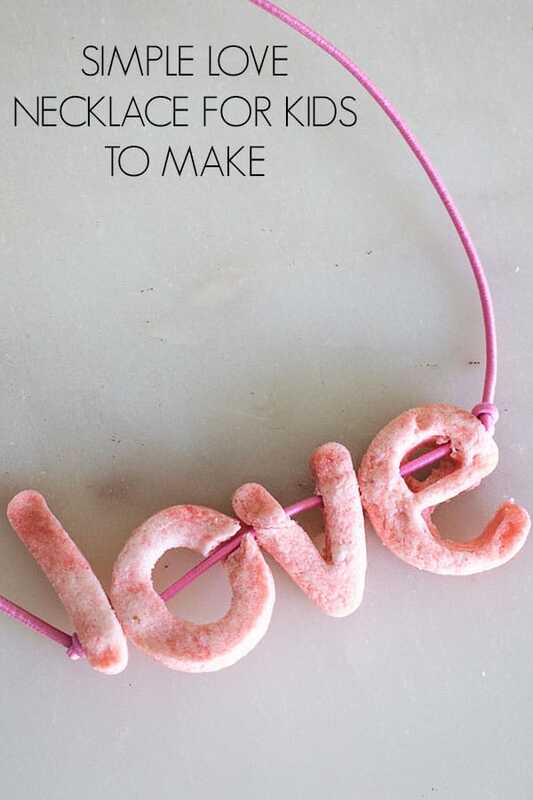 Make your own Salt Dough Letter Beads and then thread to create Word Necklaces like this LOVE one above. 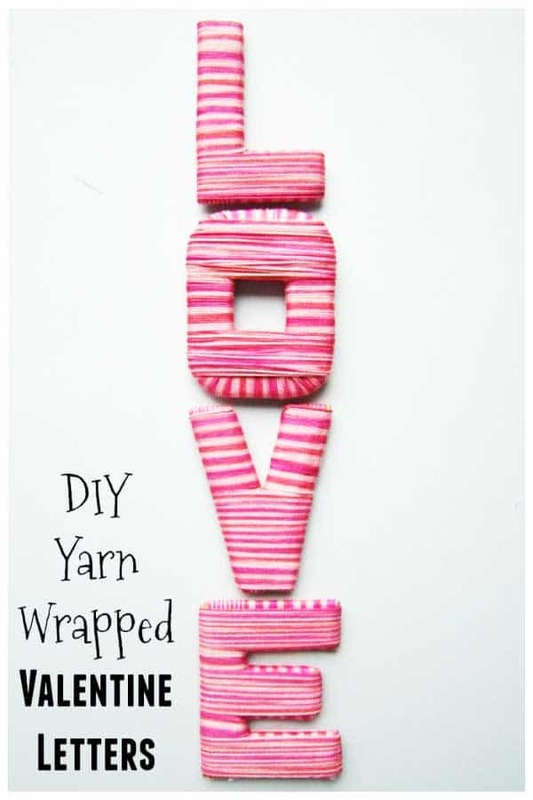 Your Tweens and Teens will love to create these Yarn Wrapped Letters. My daughter has a set we made together in her room. 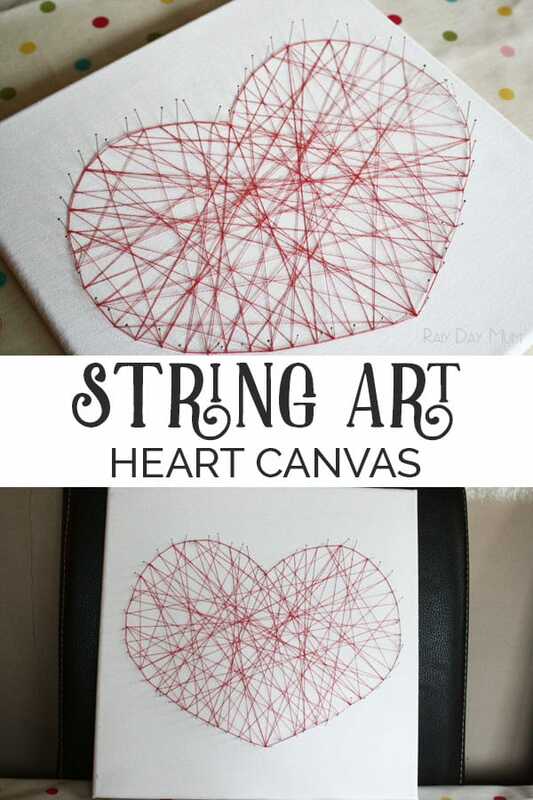 Make a string art heart this is a fun activity we did with ours as a family project when they were young. But it would easy for an older child to create by themselves.